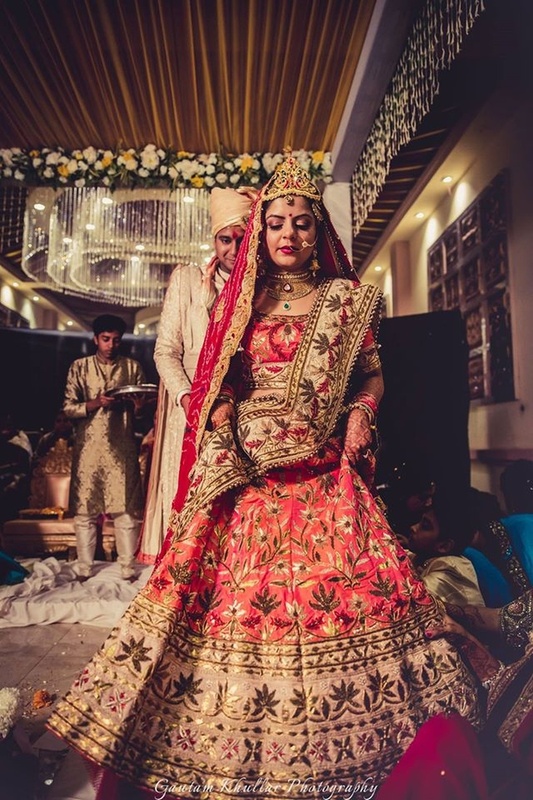 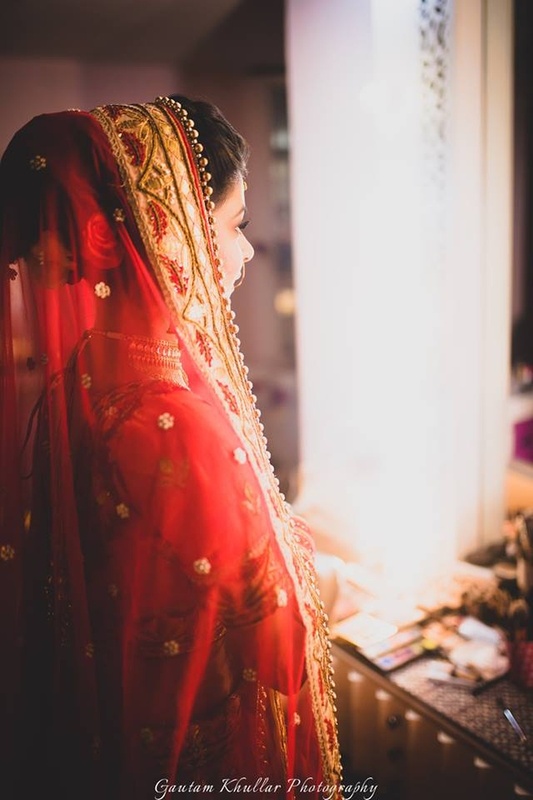 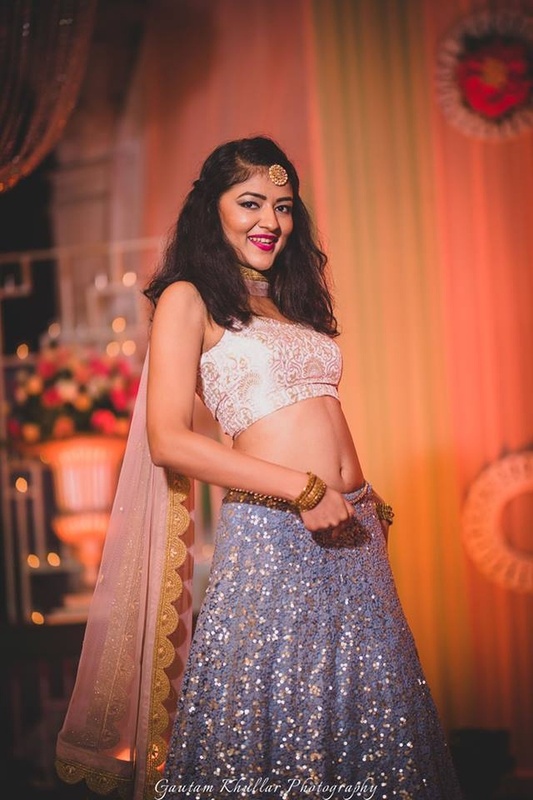 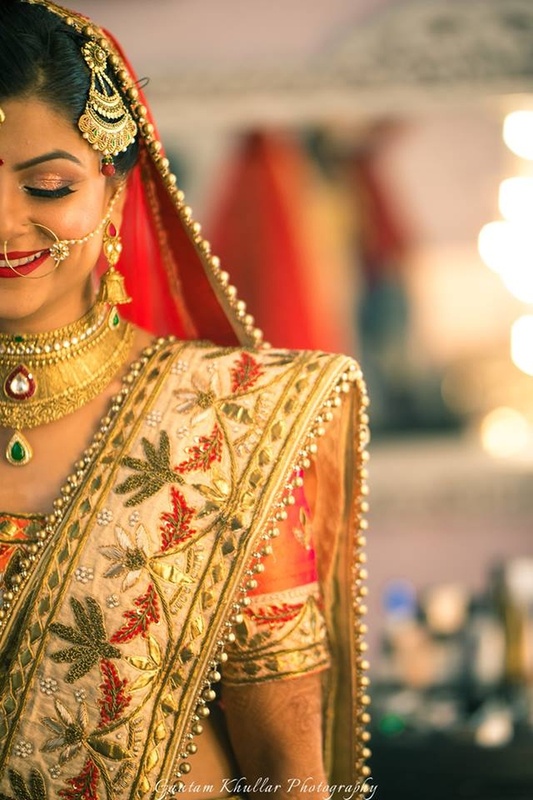 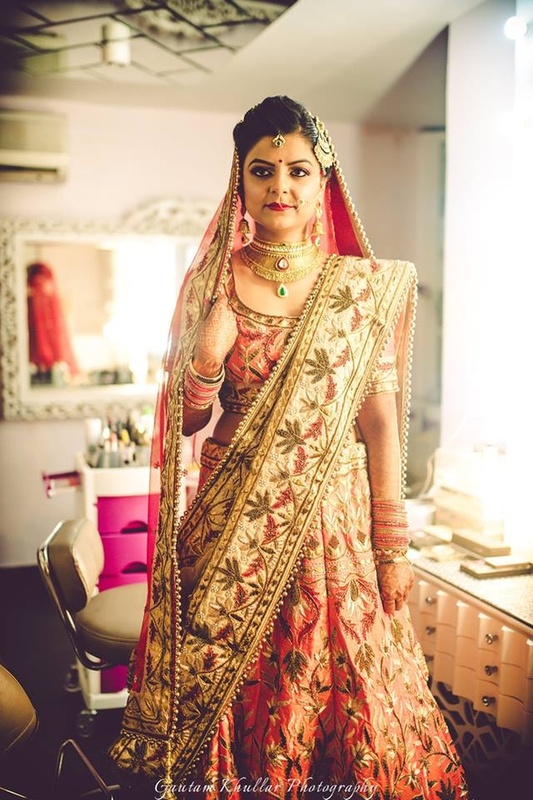 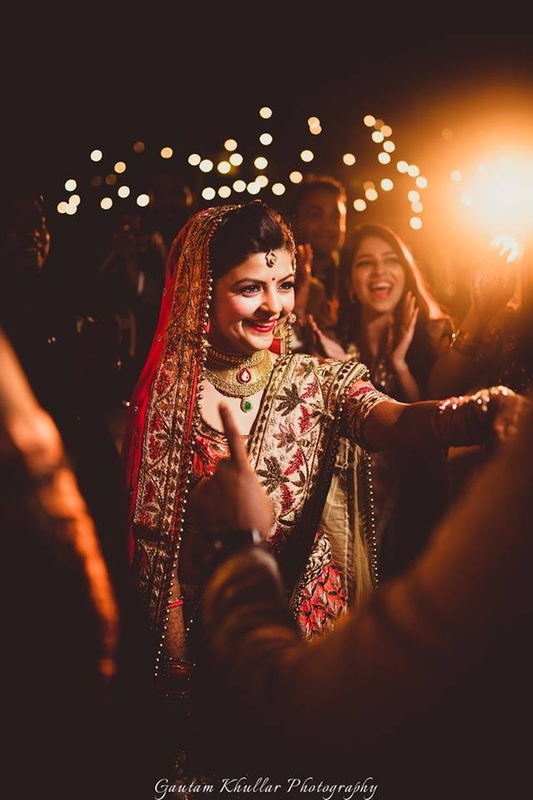 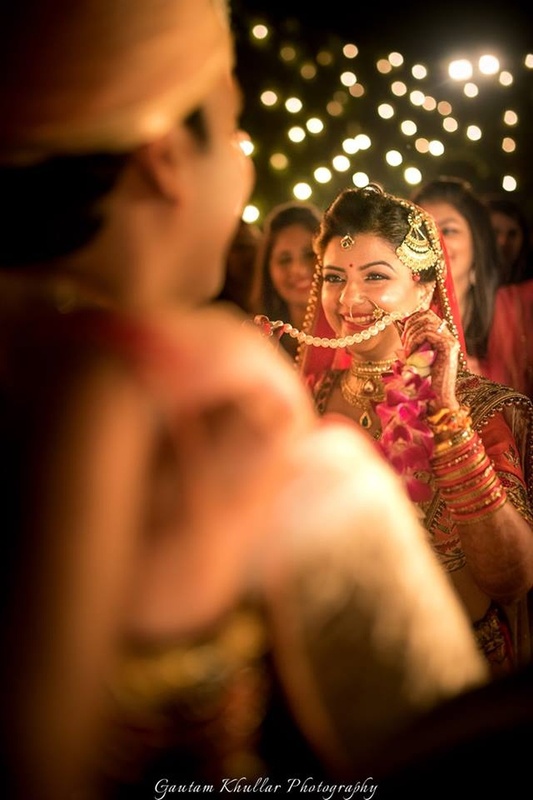 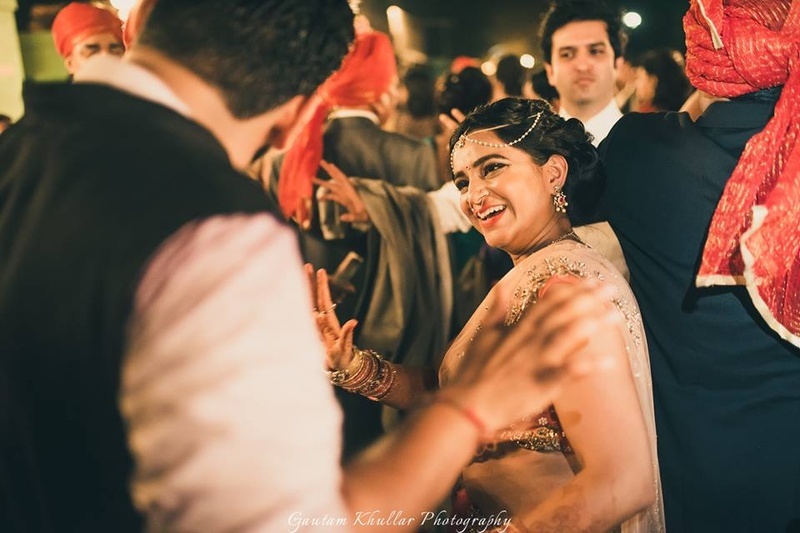 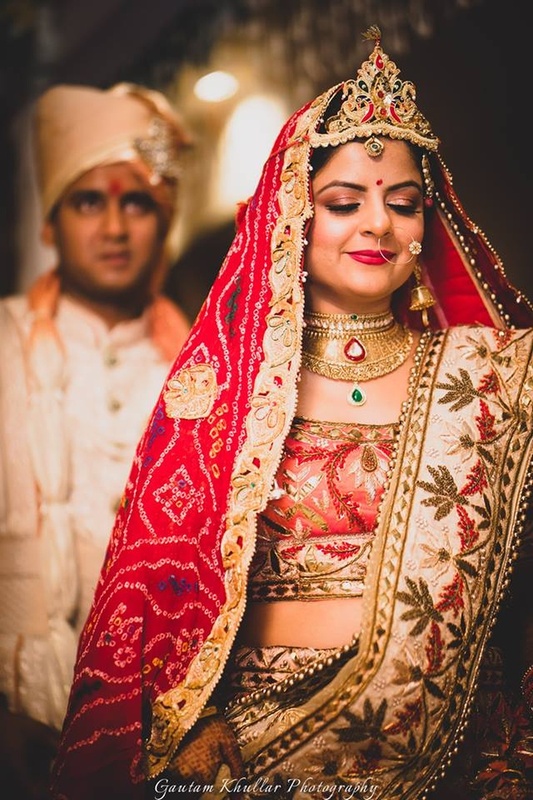 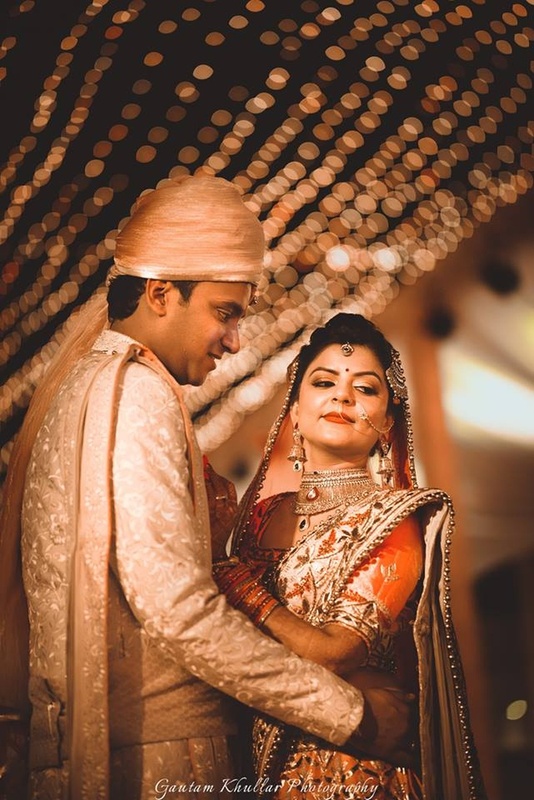 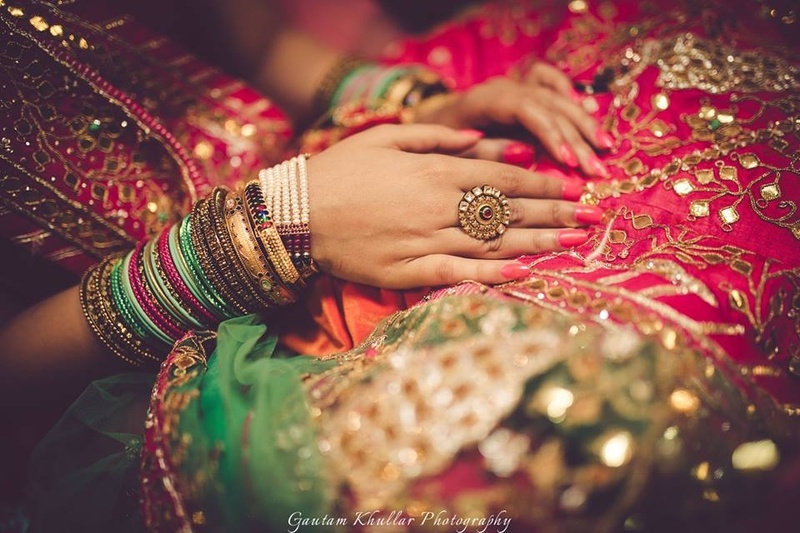 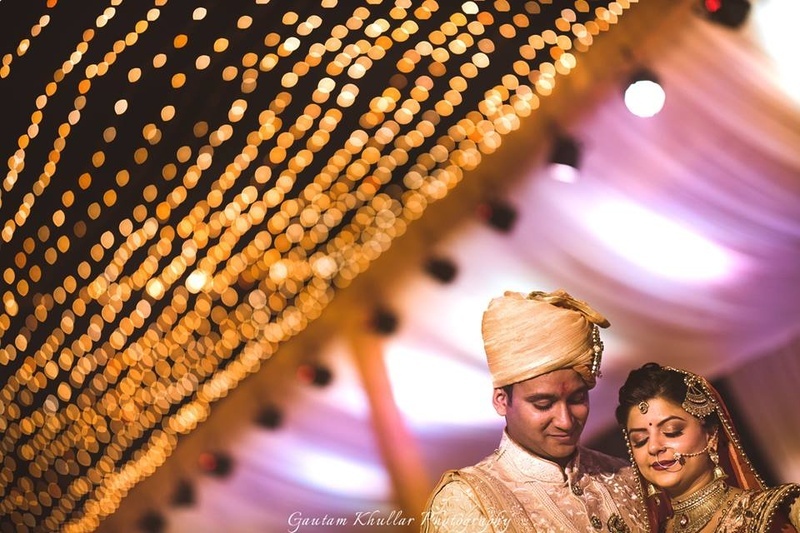 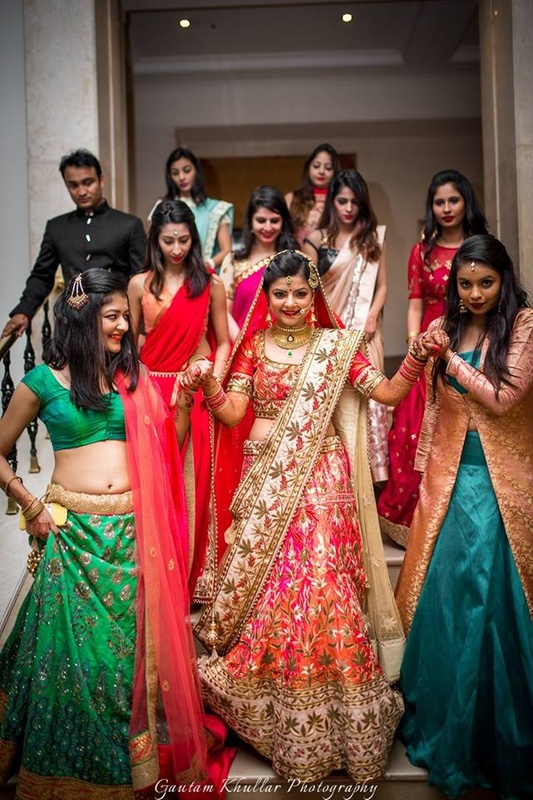 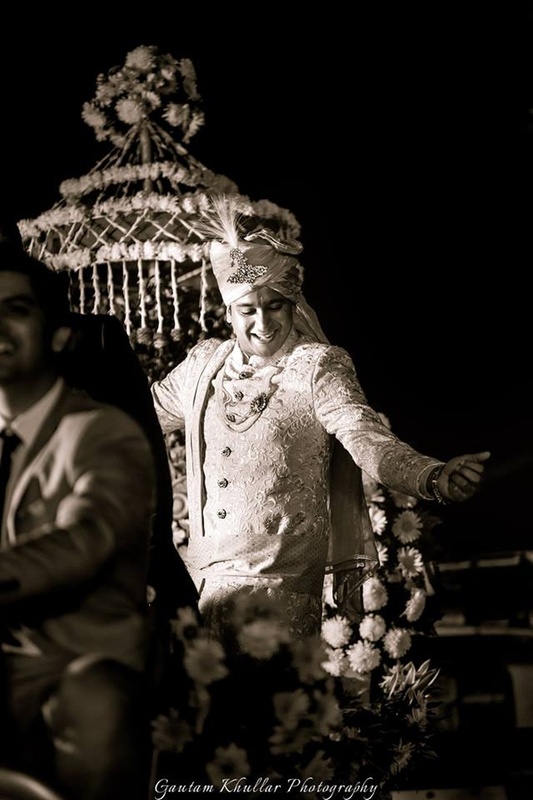 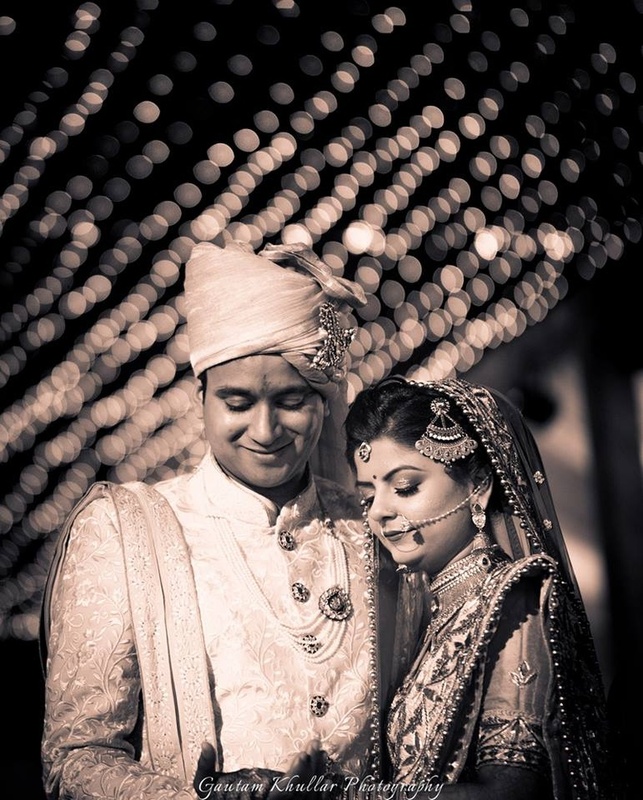 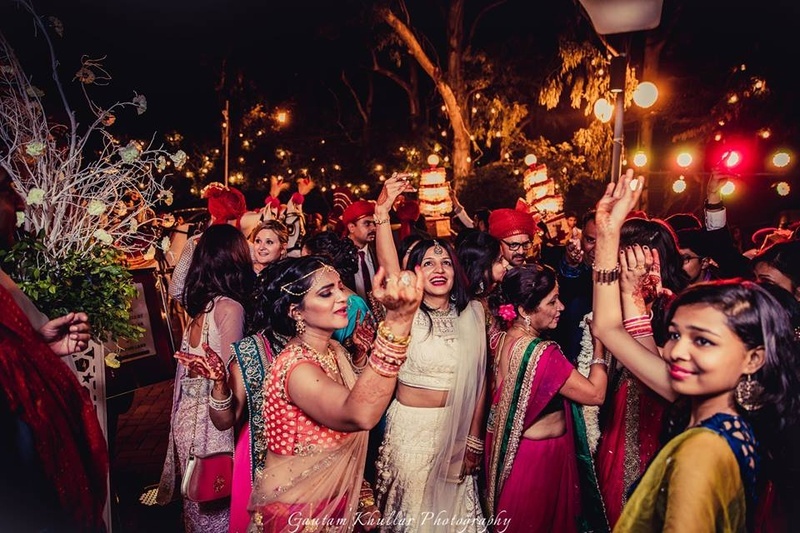 What we especially loved what the gorgeous bride's embroidered saree-lehenga with intricate motifs. 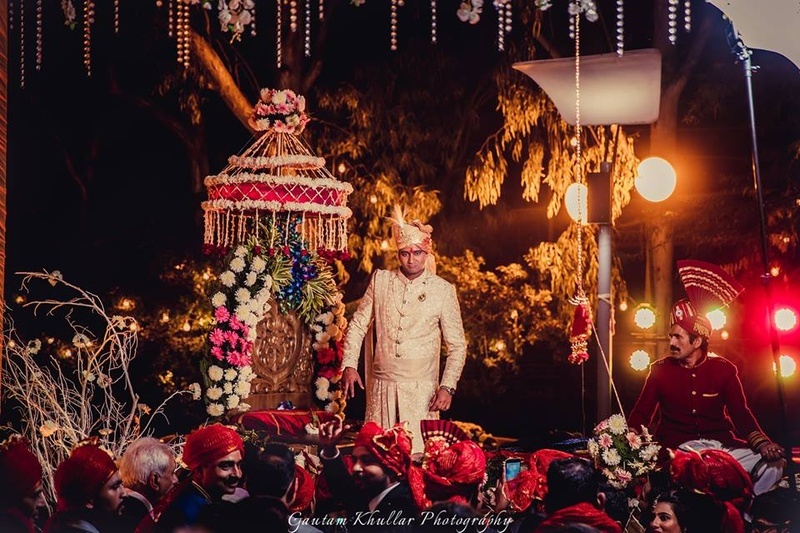 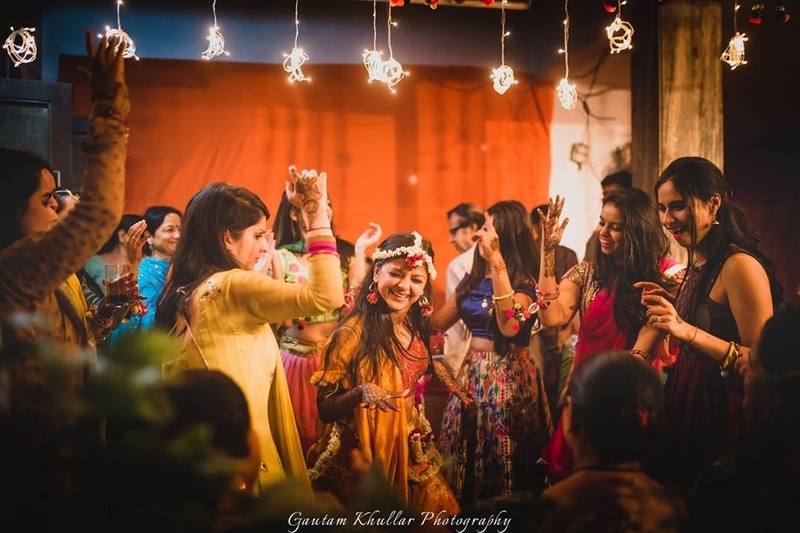 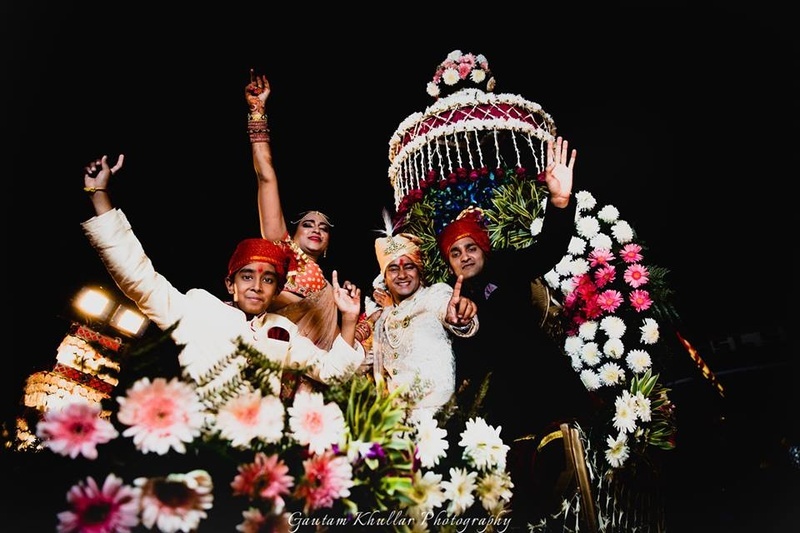 Like all Delhi weddings, this too was an elaborate amalgamation of lots of band-baaja, dancing-till-you-drop and colourful highs. 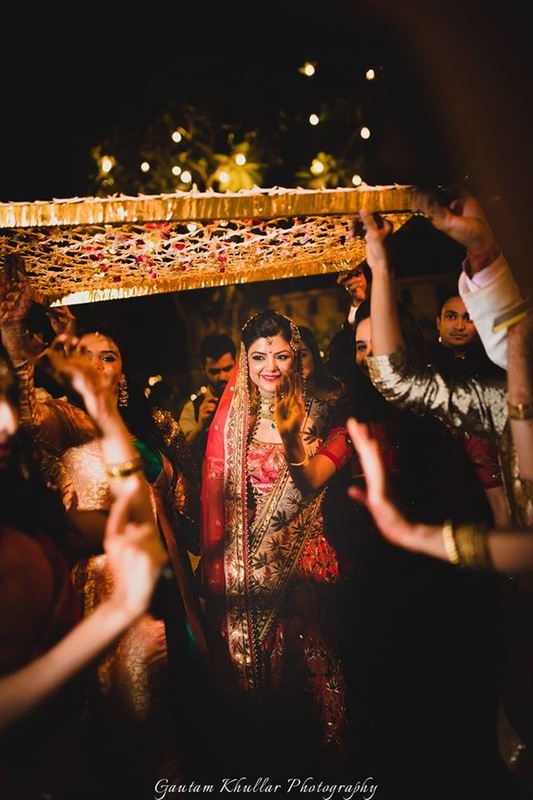 What we especially loved what the gorgeous bride's embroidered saree-lehenga with intricate motifs. 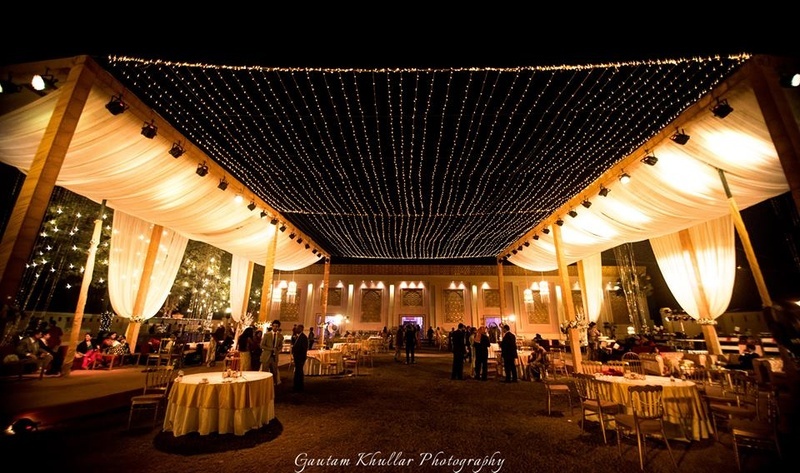 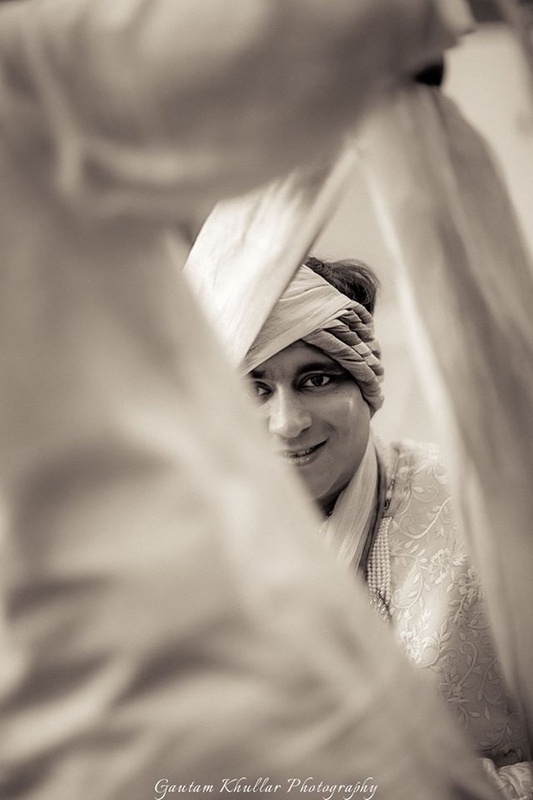 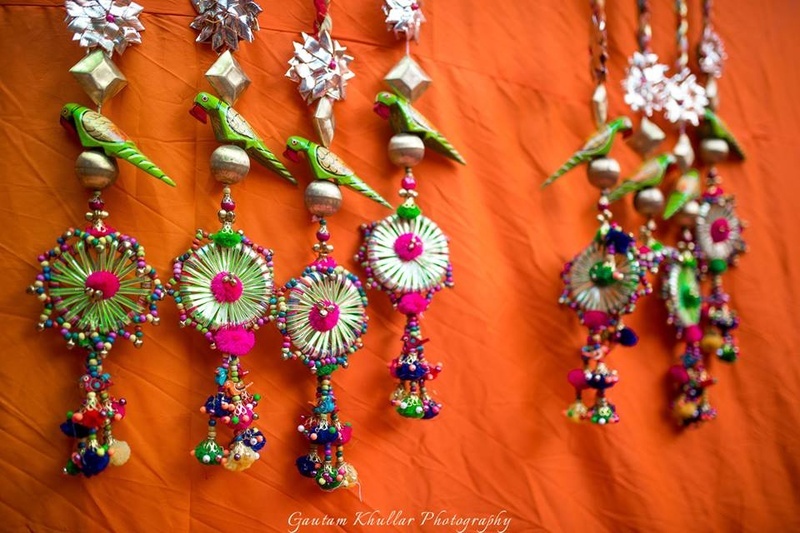 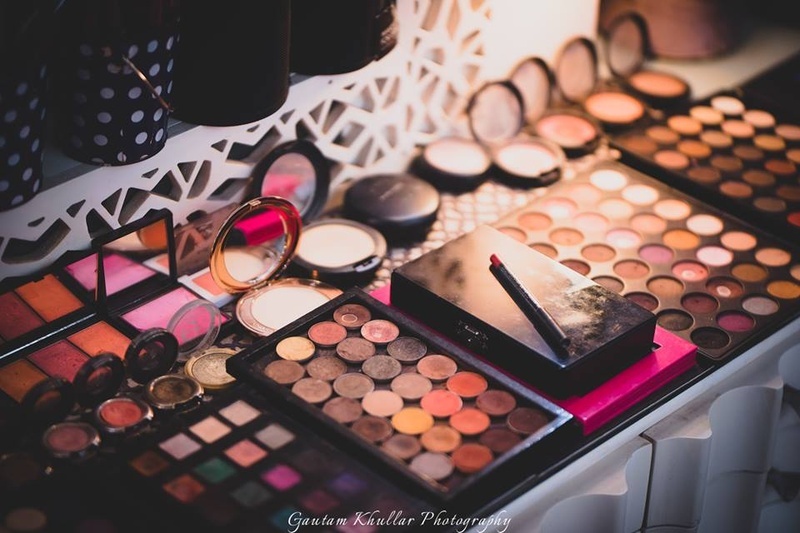 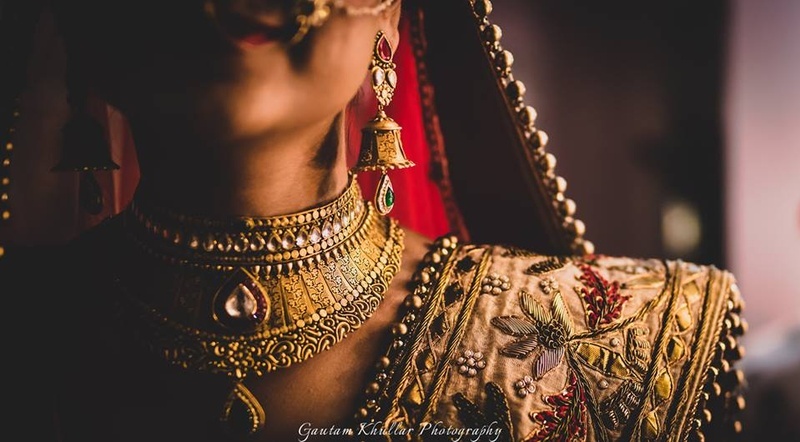 Photography by Gautam Khullar . 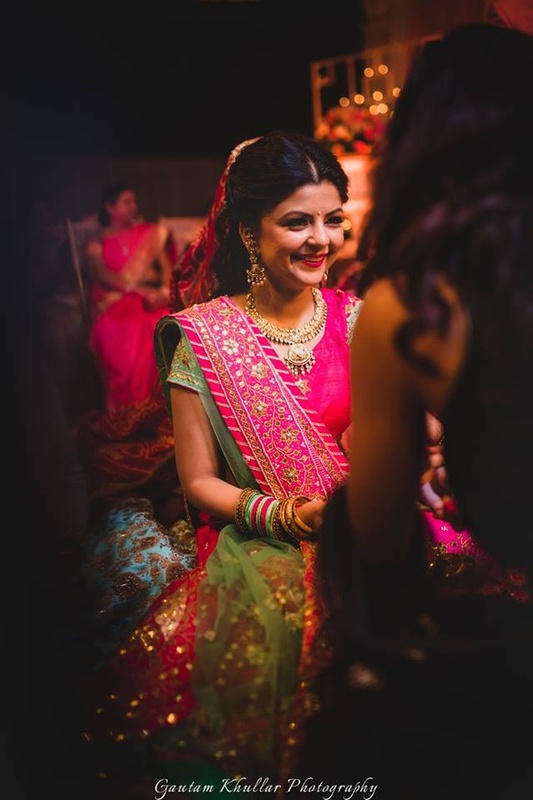 Dressed up in pink and mint green saare lehenga for the cocktail party. 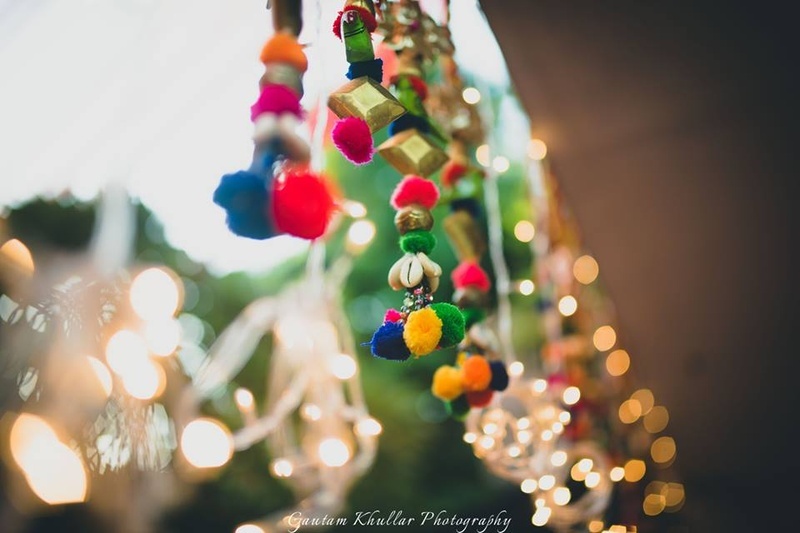 Colorful rajasthani pom poms decor for the mehendi ceremony. 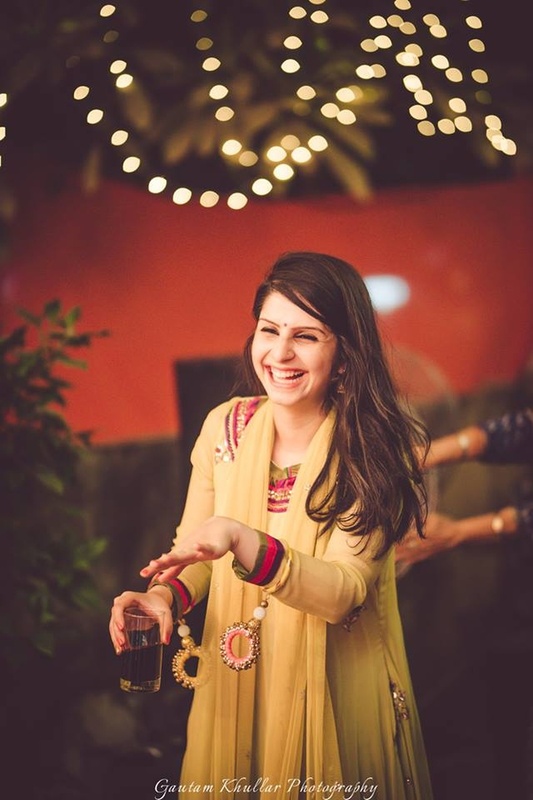 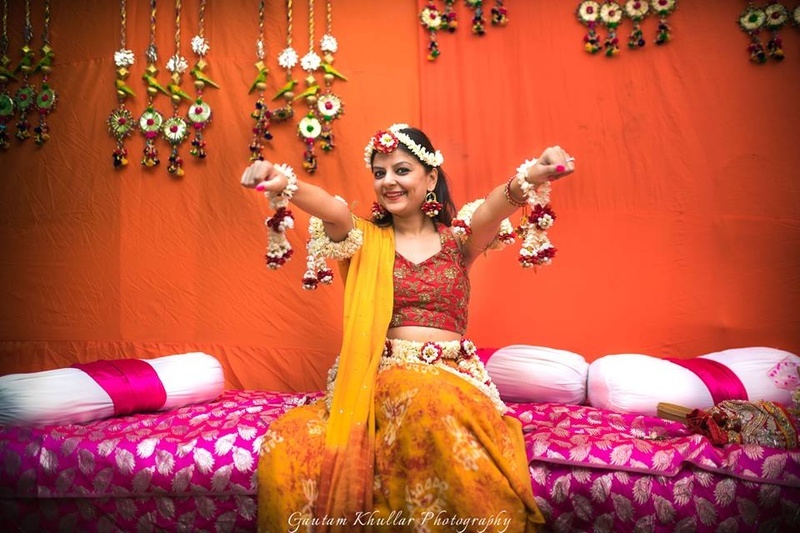 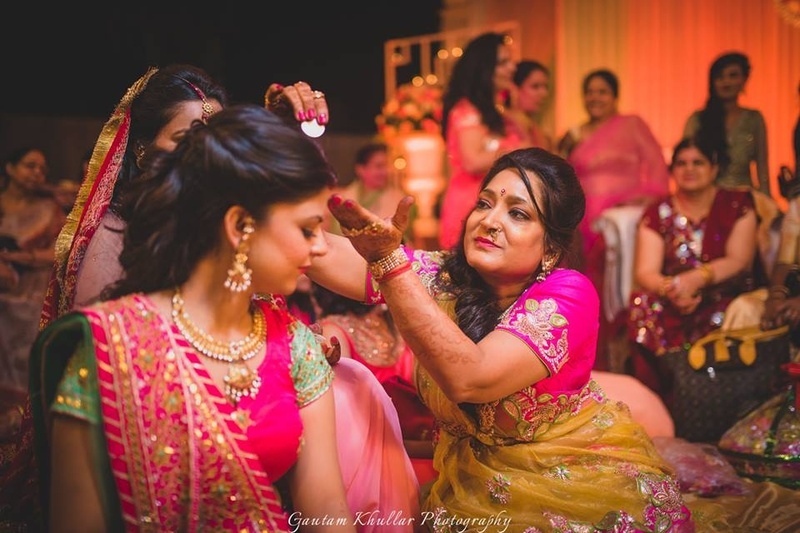 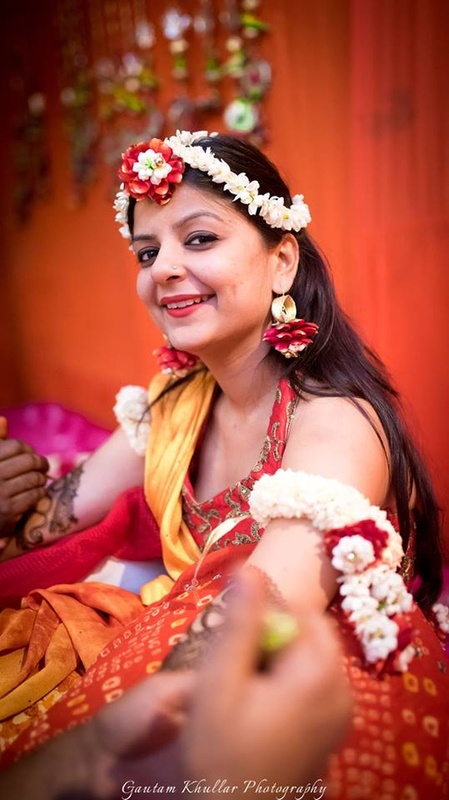 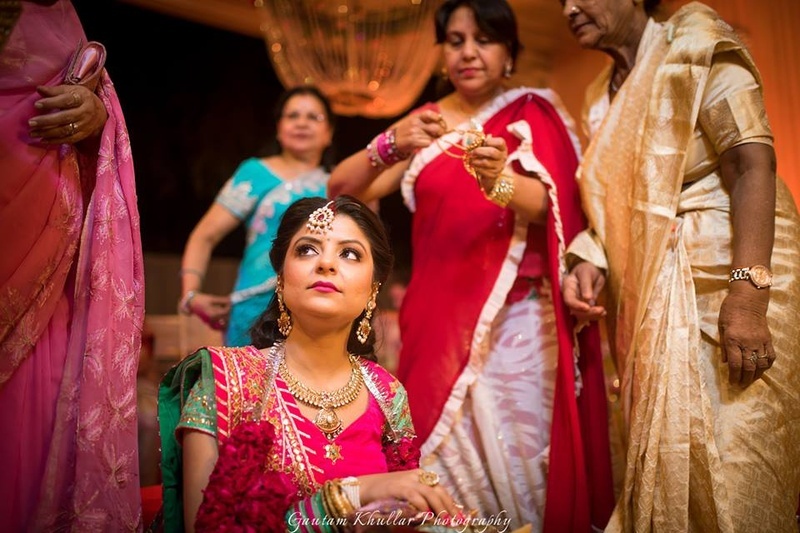 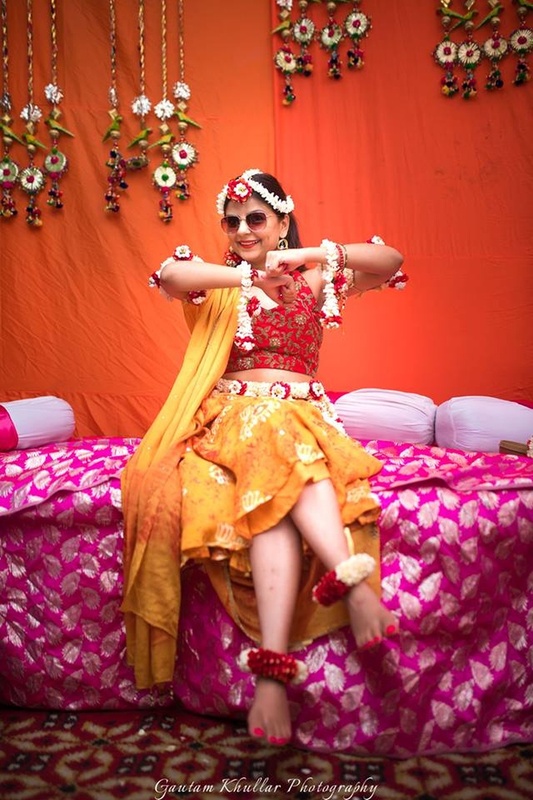 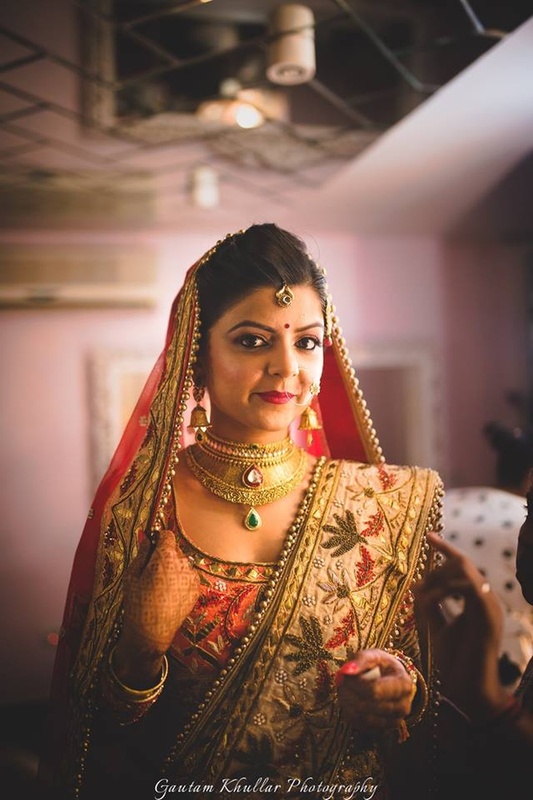 Dressed up in yellow and red lehenga choli styled with floral jewellery for the mehendi ceremony. 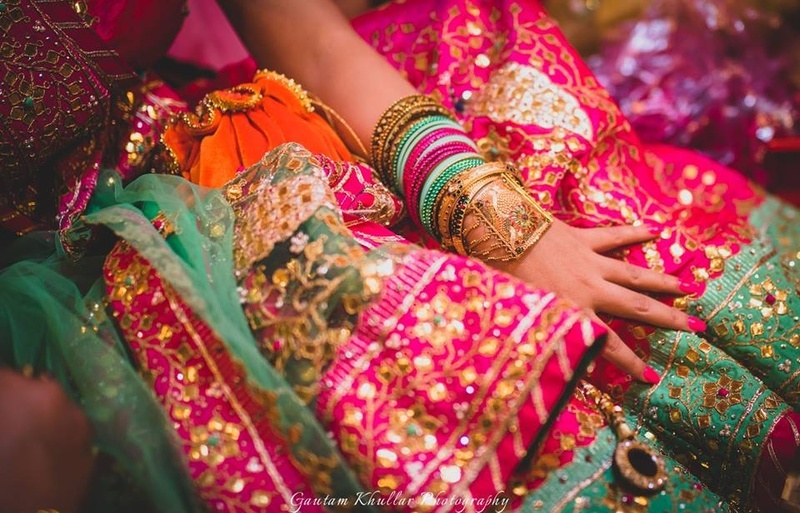 Adorned in beautiful floral jewellery. 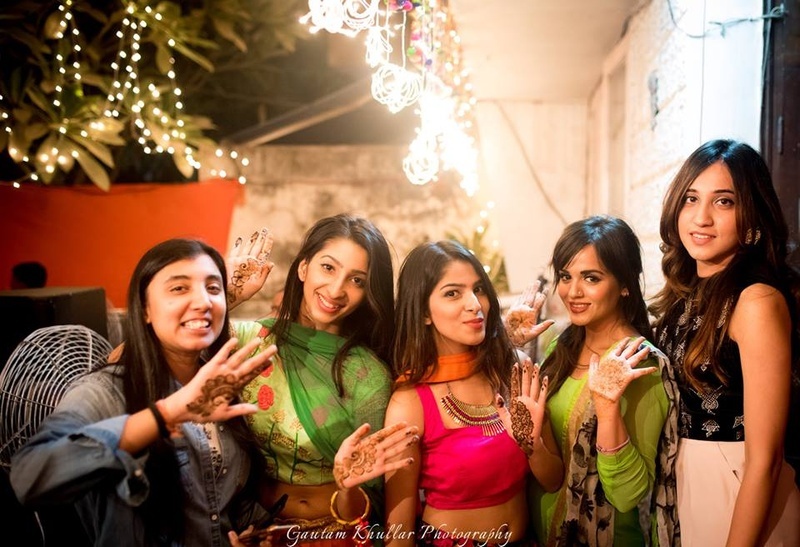 Bridesmaids at the mehendi ceremony. 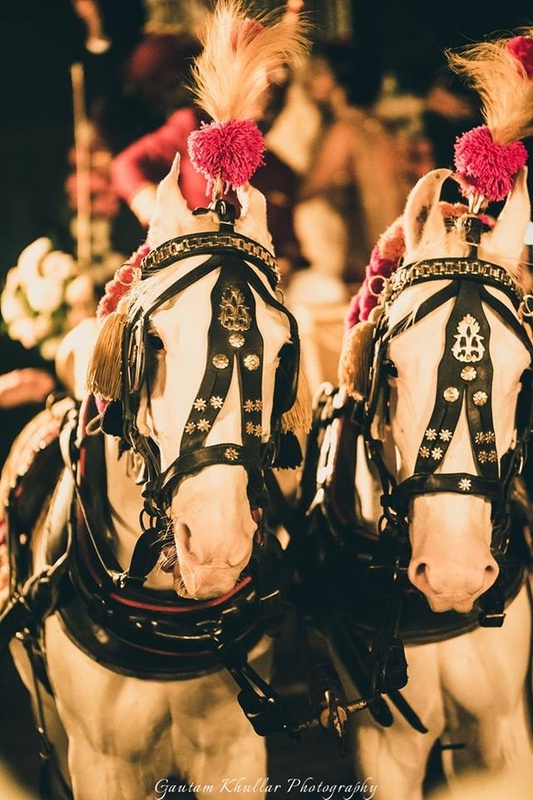 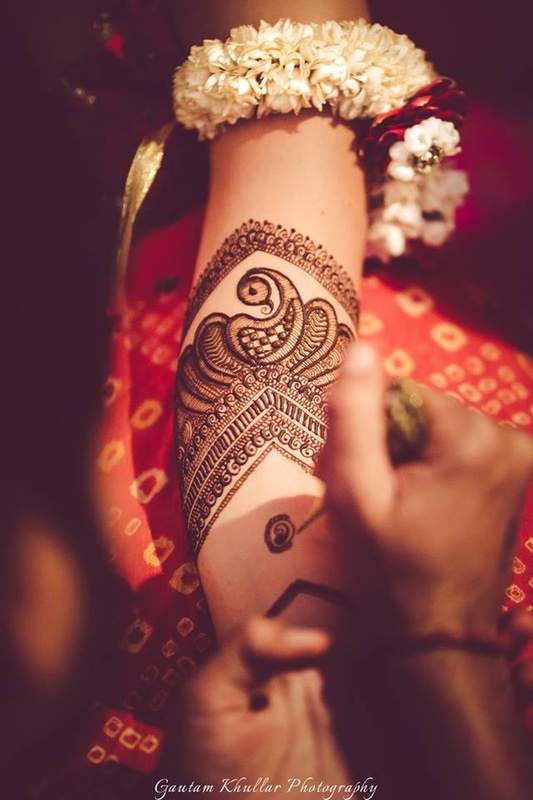 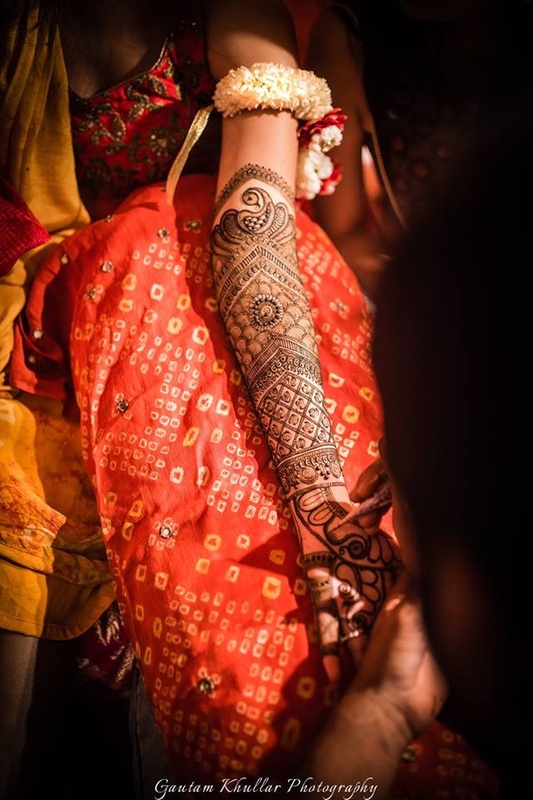 Hand filled with intricate bridal mehendi design. 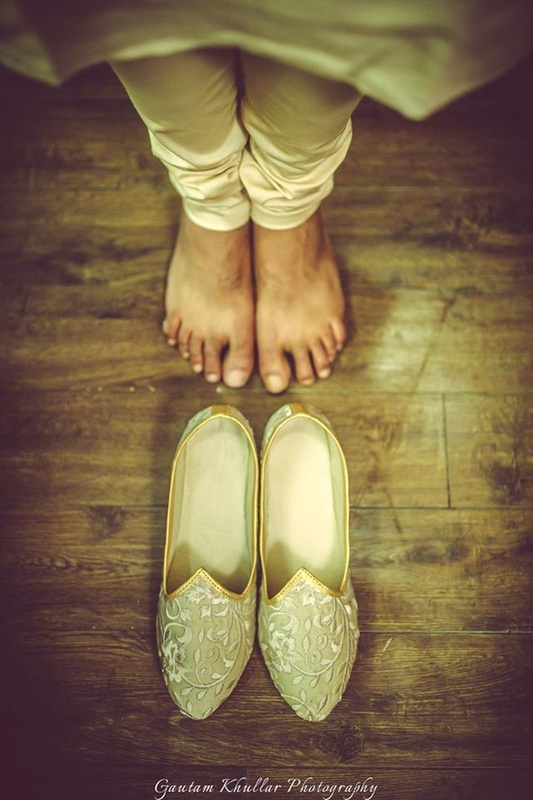 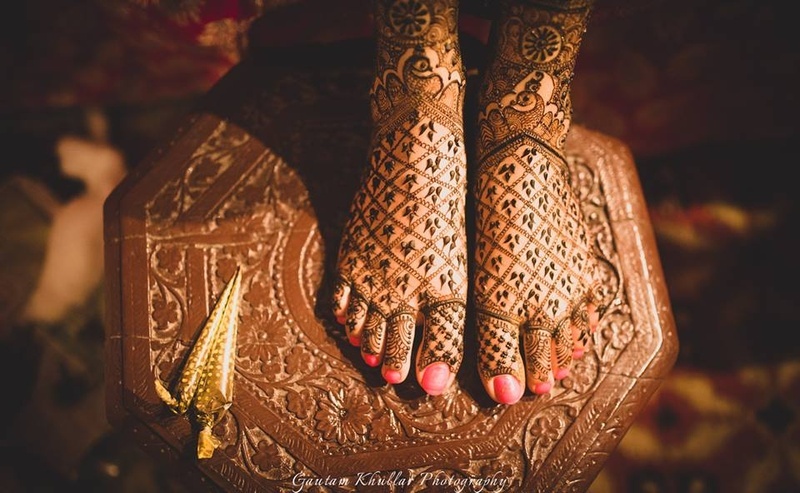 Feet filled with contemporary bridal mehendi design. 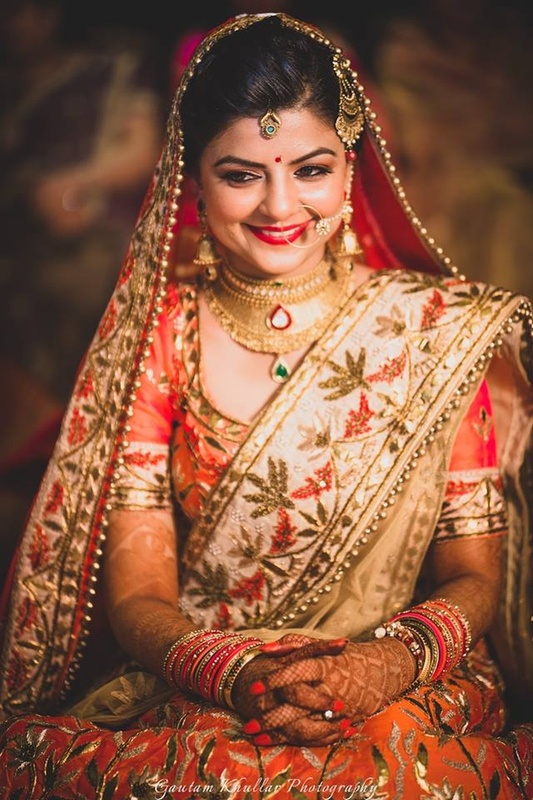 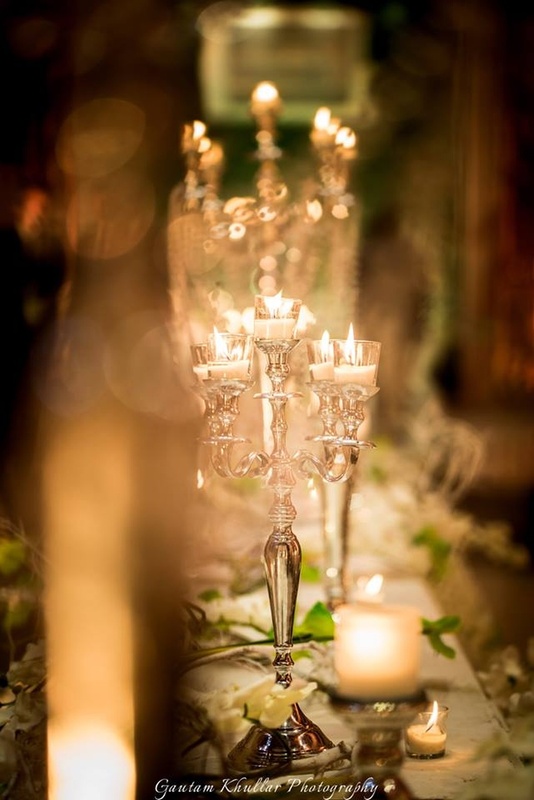 Cheerful brides are the prettiest. 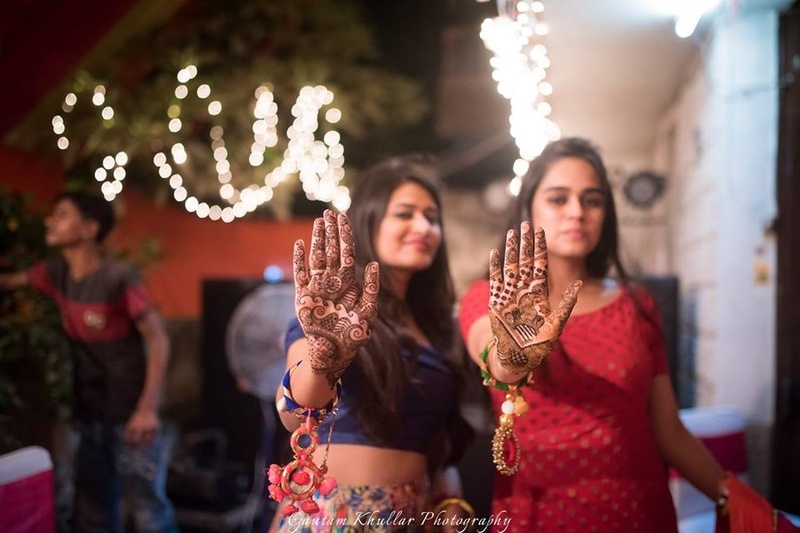 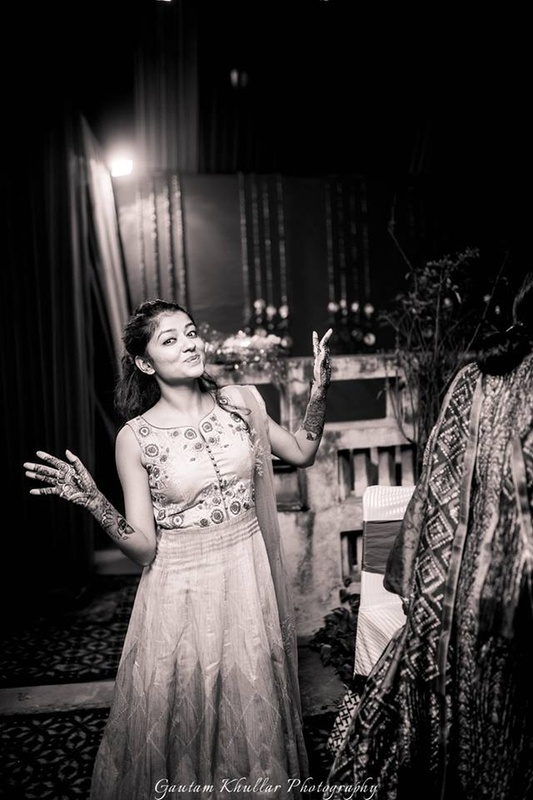 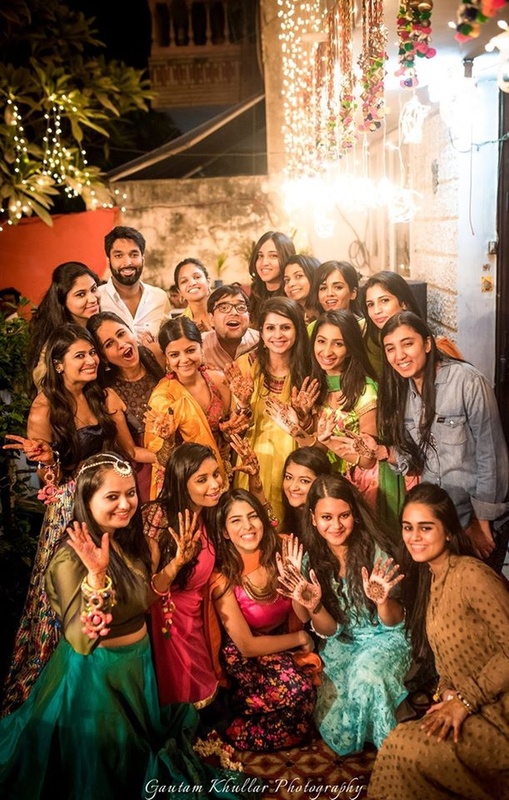 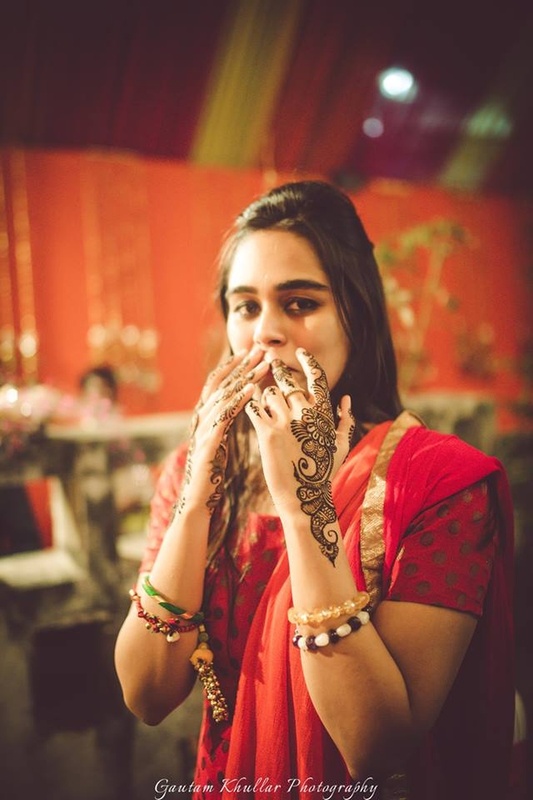 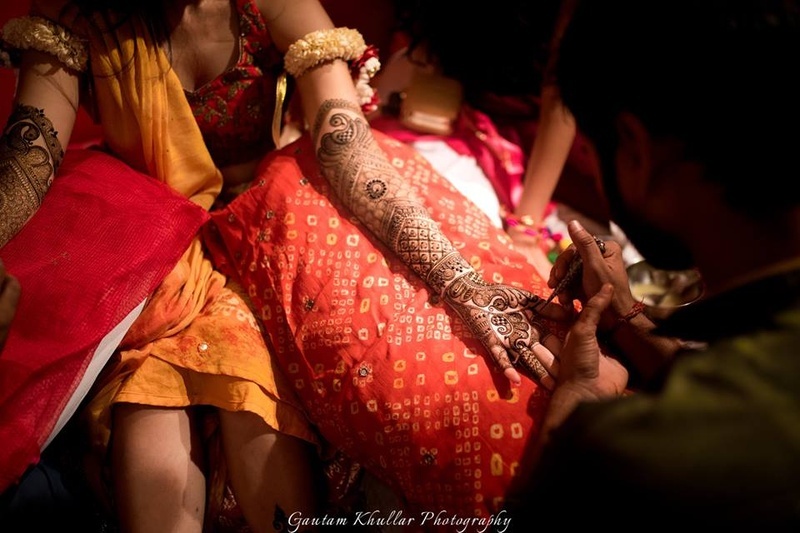 Bridesmaids with her mehendi filled hands! 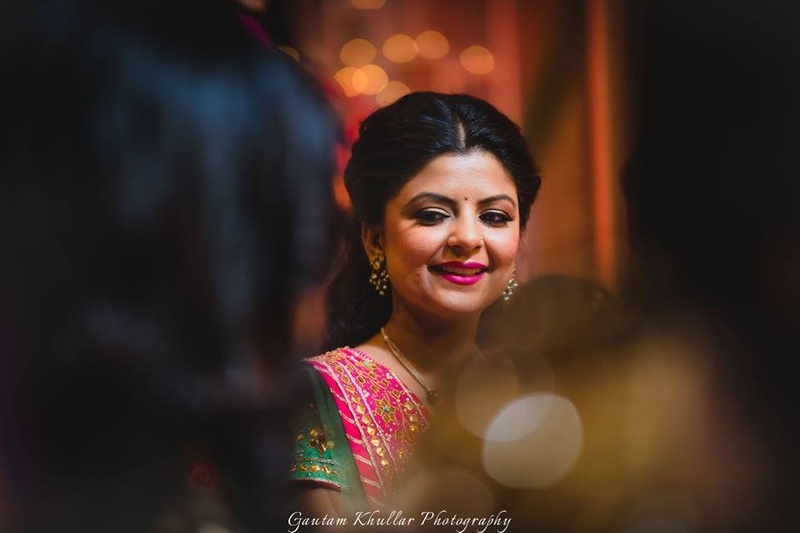 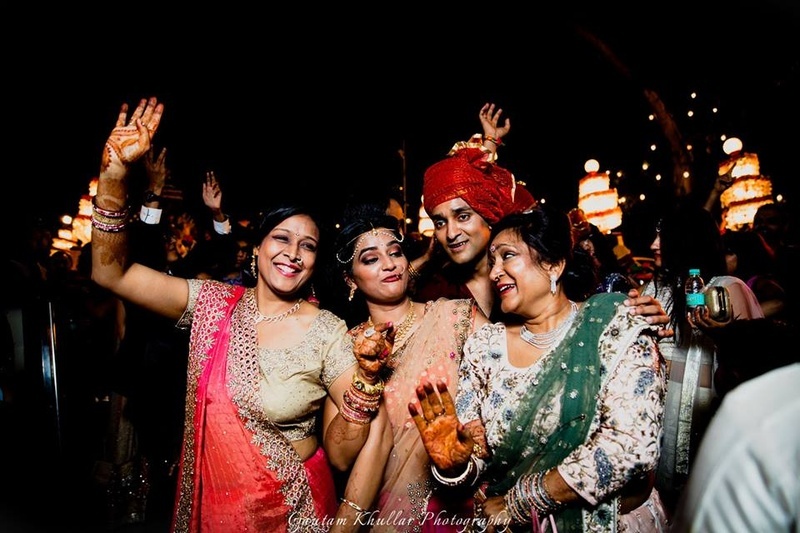 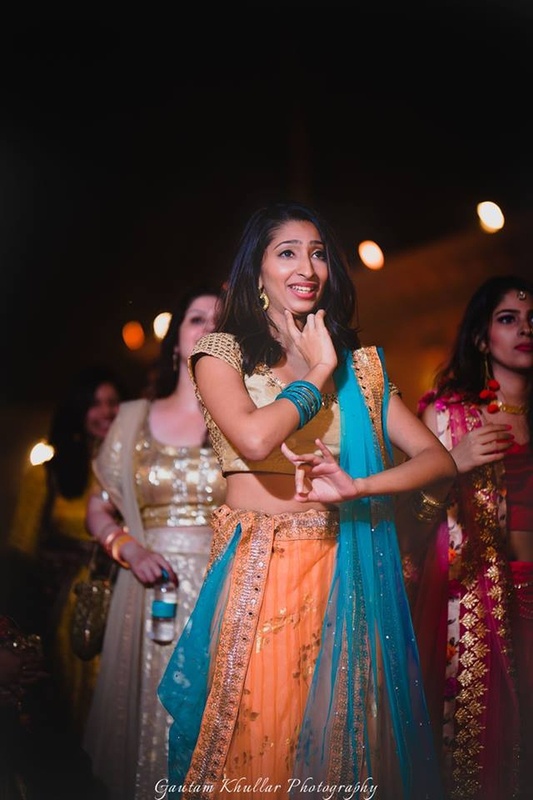 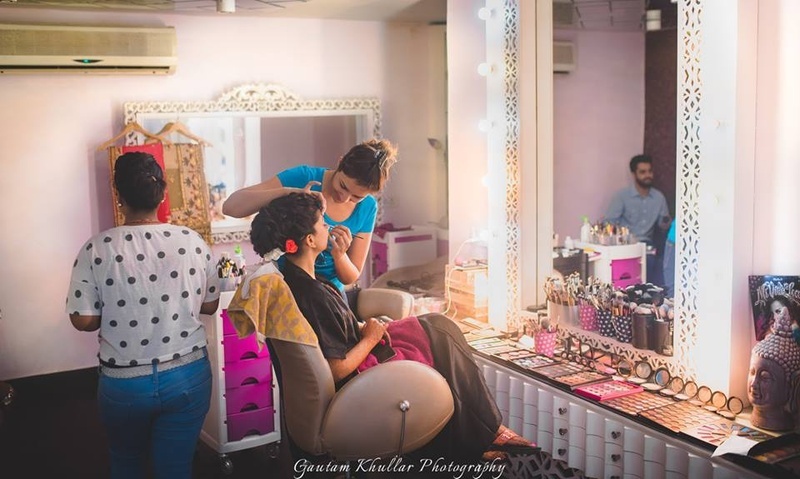 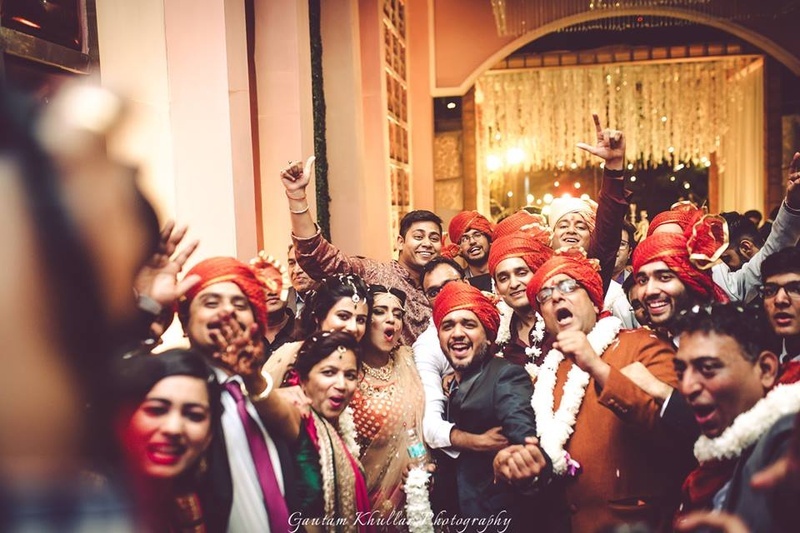 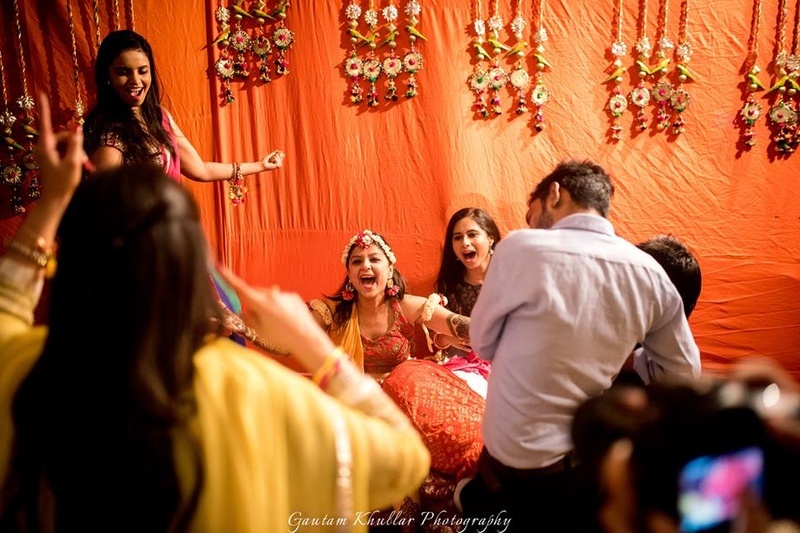 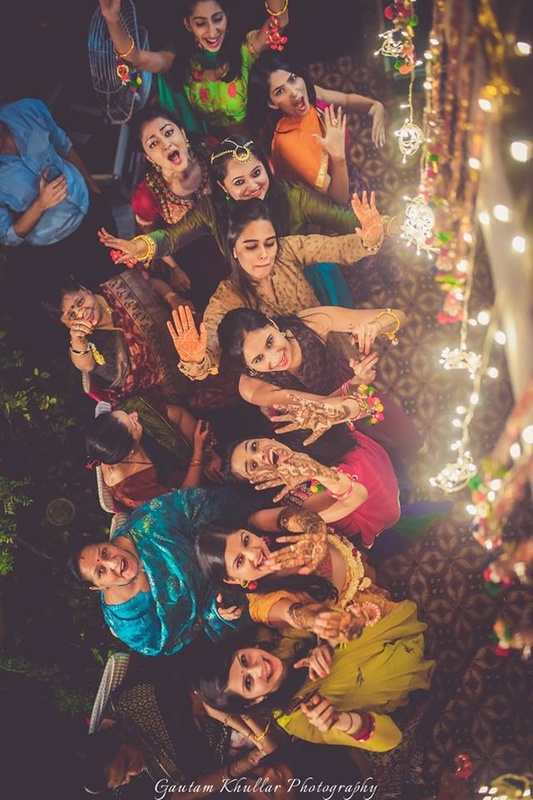 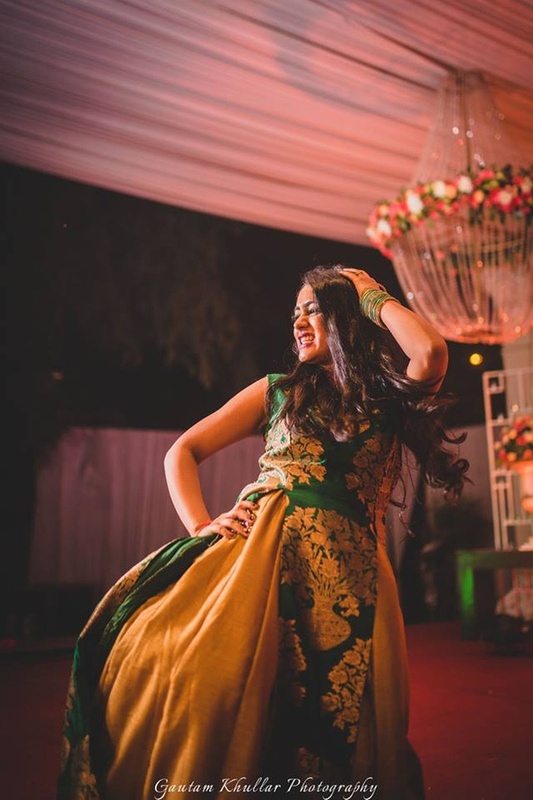 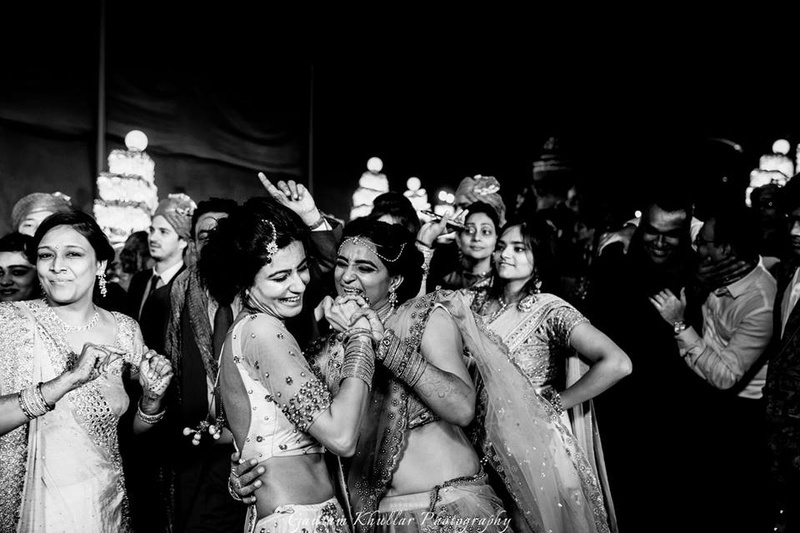 A fun bridesmaids picture by Gautam khullar !